Looks like nothing can separate the collaboration of Tamil superstar Thala Ajith and director Siva. 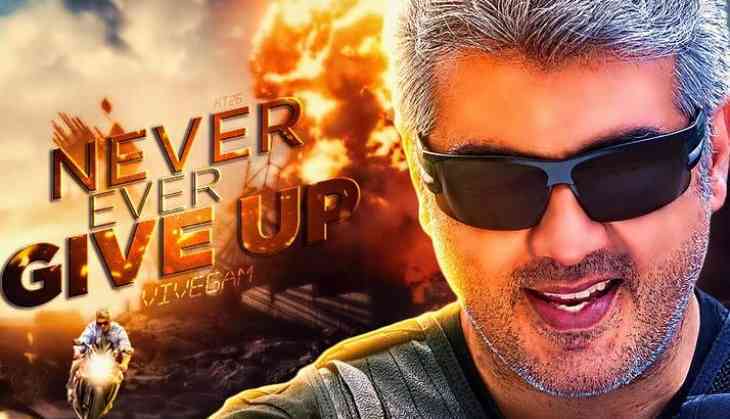 After the disastrous result of their previous outing Vivegam, the actor-director duo is all set to team up again for an upcoming film. Interestingly, the film marks the fourth collaboration of Thala Ajith and Siva in 4 years after Veeram, Vedalam and Vivegam. And now, the duo's upcoming film titled as 'Viswasam'. Similar to Vivegam, Viswasam will be bankrolled under the banner of Sathya Jyothi Films. Continuing the V sentiment, the makers have again come up with a title starting with 'V'. Thala Ajith's manager and PRO Suresh Chandra took to his official Twitter page on Thursday to make a surprise announcement with the title 'Viswasam'.